More than 500 teenagers from all over the country will gather in Manchester today. They will have come from as far north as Newcastle, as far west as Swansea, from Norwich in the east, and from Bournemouth in the south. For many it will be their first visit to Manchester. For some they have never left their town or city. But all will be there because of the good work they have done over the past year with their clubs and Premier League Kicks. A total of 89 teams, representing 64 clubs in the Premier League, Football League and down to National League will be at the University of Manchester's Wythenshawe site. Up for grabs will be the Under-16 girls and Under-16 mixed cups. But just as important will be attending the workshops that will give them advice on their futures. They will also hear from two PL Kicks participants whose inspirational stories will provide them with hope of finding better pathways when they return to their hometowns. For Tom Horrigan, Premier League Kicks provided a path away from the trouble that was present where he lived in south London at the age of 12. Tom went from being a participant to a volunteer on the programme and impressed the Chelsea Foundation to the extent that he was given a full-time role with them. "PL Kicks means everything to me,” Tom says. “It's pretty much my life. "The kids arrive with a smile and leave with a smile and knowing that they have learnt something. That's what it is all about." In Manchester, Melvyn McDonald was a youth mentor but the death of a friend and the invitation to get involved in Premier League Kicks allowed him to fulfil his goal of helping the young people of the city, through City in the Community, the charitable foundation for Manchester City. "There was a lot of trouble at the time,” Melvyn says. “That directed me into youth work. I got into a youth centre and I got into PL Kicks which has allowed me to do some positive work with the young people." Both Tom and Melvyn were rewarded for their work by being named Premier League Kicks Heroes last year and they hope to inspire more heroes at the PL Kicks Cup. 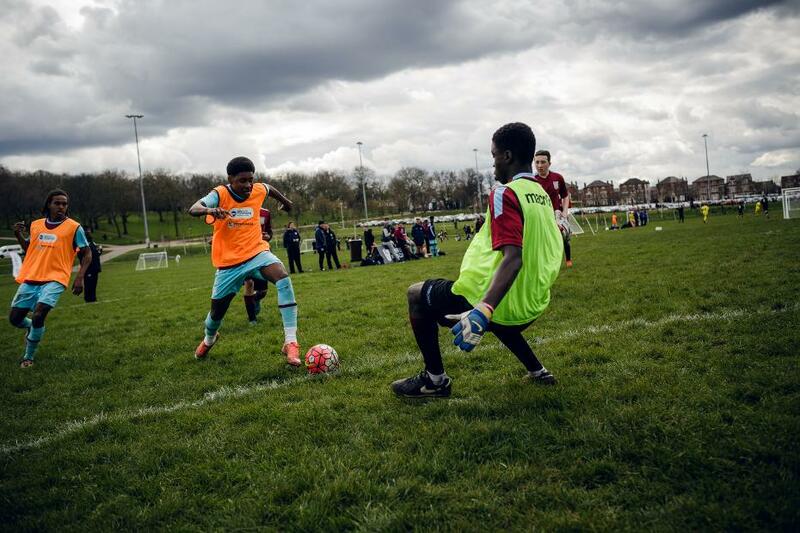 Now in its 12th year, PL Kicks has engaged 245,845 young people in high-need areas an opportunity to play football and develop their skills and confidence through the game with a view to creating safer, stronger and more respectful communities. "It's a truly inspiring initiative to be part of," said Andy Burnham, Mayor of Greater Manchester. "Sport has the power to bring communities together and connect people from all walks of life."